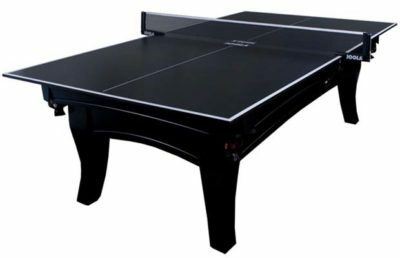 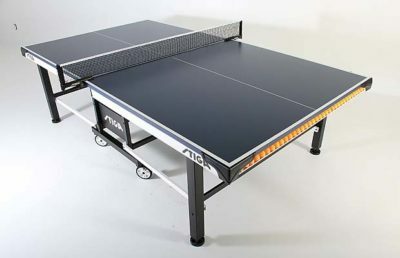 Insta-Play table tennis table from Stiga. 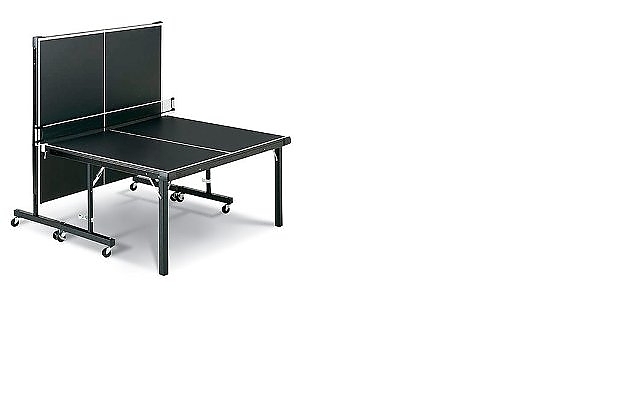 This top quality table has a 3/4” black top with boundary lines, 2” steel apron, 2” steel legs, 3” ball bearing casters with locks, and the patented InstaPlay® Technology, so it’s ready to play out of the box (no assembly required). 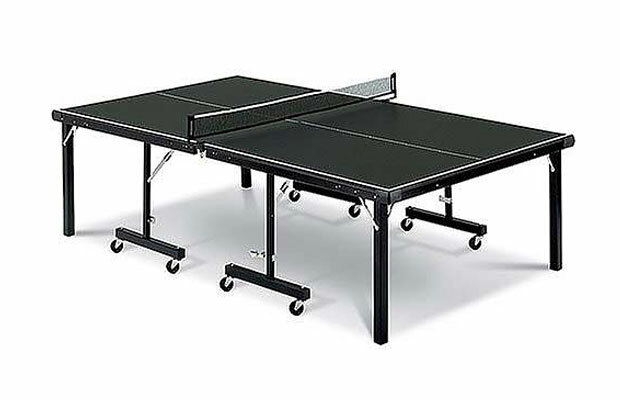 This table features corner pads to protect from snags. 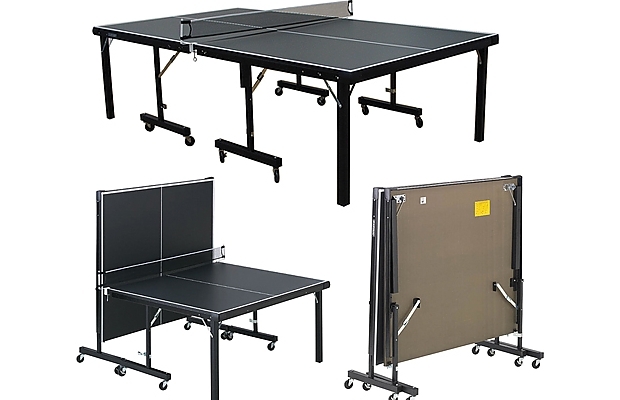 Table folds to a compact 60” W x 64” H x 28” D for easy storage and can be played either full-length, or as a half-court table (60” W x 64” H x 66” D) for practice. 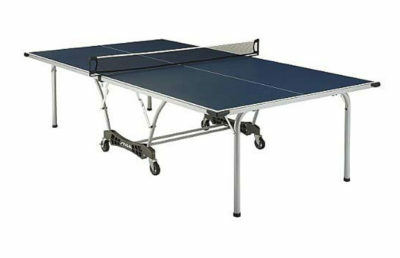 Includes a 66” STIGA net and post system.